Chiller Rentals are a major investment for any facility. Choosing the proper unit can offer many benefits together with expanded production. Although some applications require a long-term solution, chiller rentals can also be a great answer for temporary projects. Alpha Energy Solutions provides rental systems for a number of uses for many industries. If you determine that a rental chiller is needed, Alpha Energy Solutions can help. We provide chiller rentals, regardless of the project size. As a frontrunner in the heating and cooling , and bringing over 2,000 years of combined expertise in the field, we deal with the top manufacturers. Selecting just the right chiller can be difficult, however running with a skilled technician from Alpha Energy Solutions will make sure that your navigation through chiller models is smooth. Chiller Rentals installed by Alpha Energy Solutions are supported by selection and service. Parts and maintenance are proudly offered as well. Should you need parts for your chiller rental, assistance awaits. Having access to so many manufacturers enables Alpha Energy Solutions to shorten the wait time for components. We are on-call to help clients 24/7. 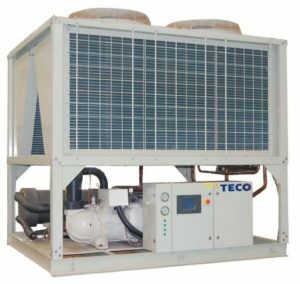 Though chillers are fantastically effective cooling systems, once in a while, they’ll need ordinary protection to achieve gold standard performance. Remember, even a rental system is an investment and sudden maintenance can bring about unwanted surprises. Prevention is the best way to ensure that your unit is completely-functioning. Alpha Energy Solutions offers custom Preventative Maintenance Plans tailored to satisfy your budget. Your Preventative Maintenance Plan will provide monitoring, device updates, inspections, and seasonal service.